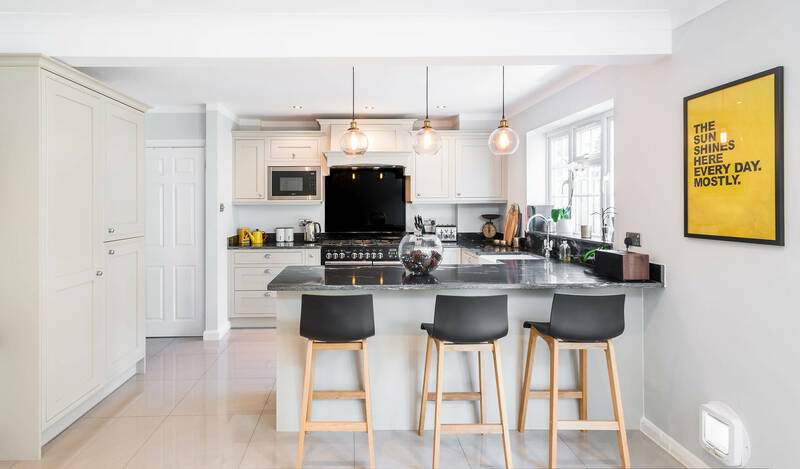 This perfectly modern in-frame kitchen design sits in the heart of West Sussex, and is all about the gorgeous statement Quartz worktops. 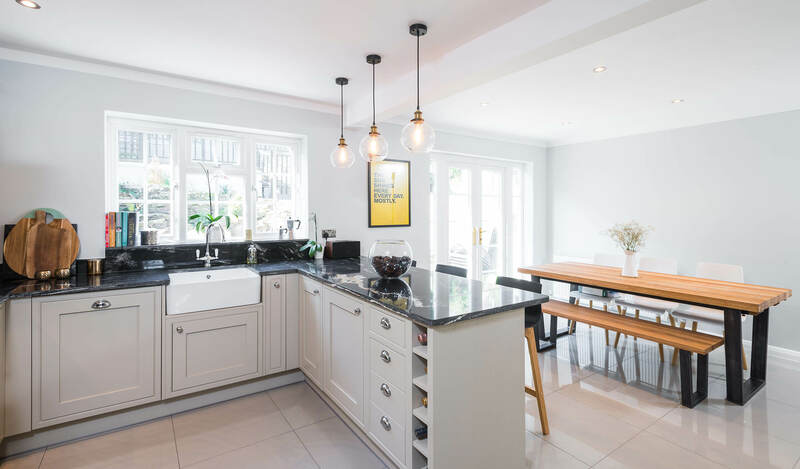 The flowing marble effect ties together the kitchen perfectly with the colouring in the marbling complimenting the warm off-white colour of the kitchen. 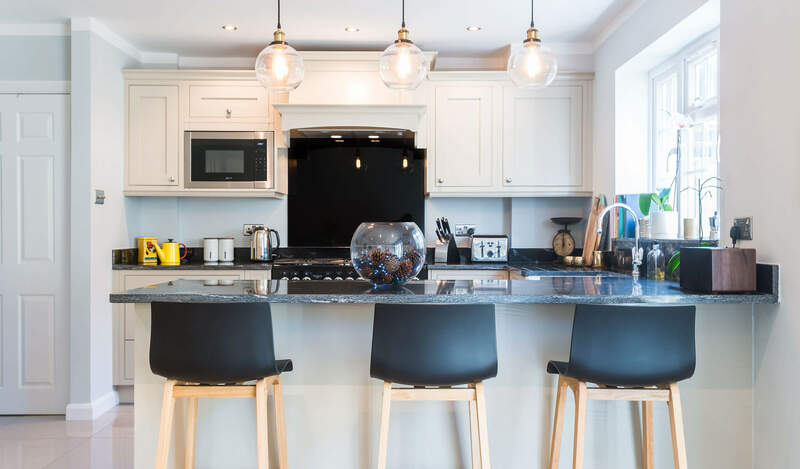 The black glass splashback adds to the dark, industrial features in this kitchen such as the stools and pendant lights. 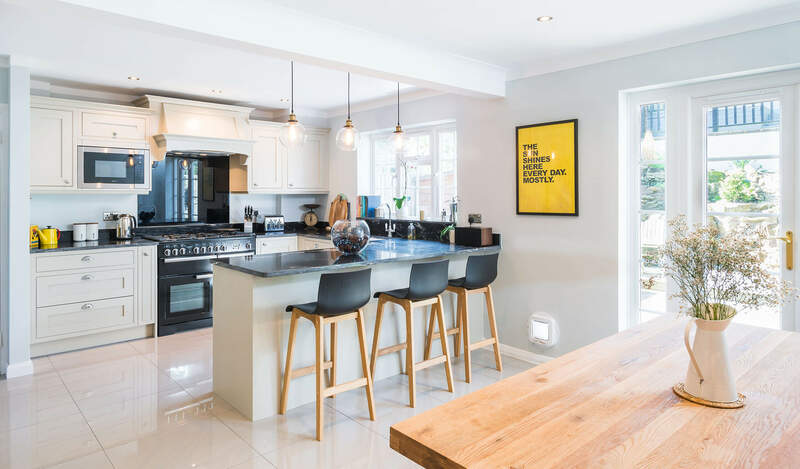 Adding a Neff built-in microwave to a wall unit makes for greater worktop space and housing it beside the Rangemaster creates a practical cooking area. 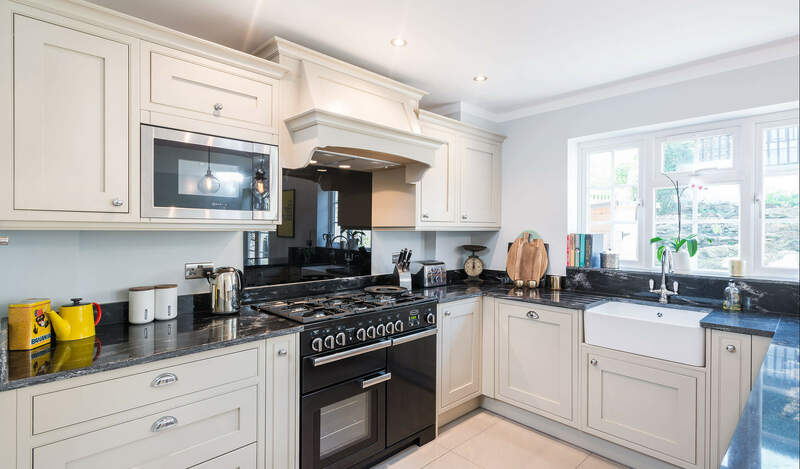 A beautiful mantle is a great place for hiding your extractor whilst creating a showstopping feature.